Soundorder is well known for professional sounddesign (soudsets & samples) and does concentrate on „up-to-date" sounds which are used in these days top productions. Their soundsets and samples are fresh and very inspiring. 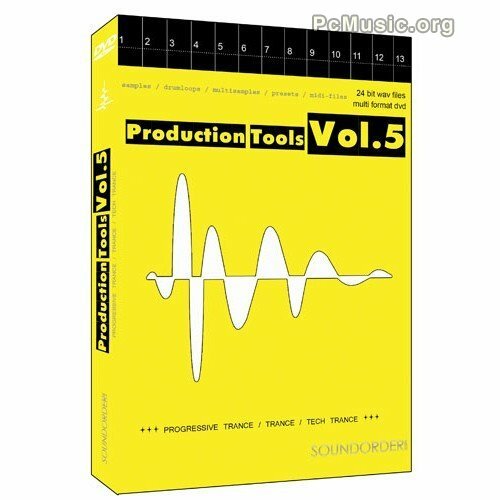 The new "Production Tools" series they created is an innovative highlight that focuses a totally new concept of the working process. 35 brand new construction kits for Progressive / Trance / Tech Trance. Covering bangin drums, cutting edge leads, fat basses, wide pads, synths and sound effects. Every tool kit is split up into loops and single samples. For full creative access the producers have also included synth- & sampler presets as well as midi files for every single track! Feel free to change the tool kit to something completely different according to your taste! To adjust the tempo quickly to your needs, all Wav loops are available in Apple Loops and REX format. Full access to every sound and the possibility to freely modify kits, makes this collection something really special and outstanding on the market - Get your own hands on the sound of tomorrow!